After the death of a loved one, it is natural to experience grief and stress. If you have lost a major wage-earner in the family, you might also be concerned about your future financial stability. Paying for medical bills, final expenses and future debt can be challenging. It is wise to seek the counsel of our experienced Lafayette wrongful death lawyers for help. If a loved one has been killed due to another’s recklessness or negligence, you may be entitled to seek monetary compensation for damages. This covers a wide range of expenses including medical bills, funeral expenses, lost wages as well as pain and suffering. Wrongful death also covers intentional acts such as murder. You don’t have to go up against insurance companies alone. Wrongful death lawyers at The Wetzel Law Firm are experienced in dealing with insurance companies. Insurance companies are most interested in minimizing the cost to them, and they hire attorneys to protect their assets. If you go up against an insurance company lawyer on your own, you may not be prepared. 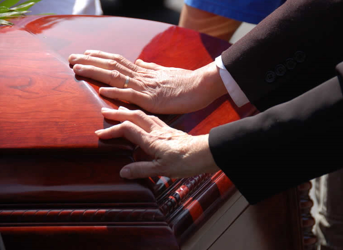 Our wrongful death lawyers understand how insurance companies and their attorneys work. It is important to hire your own attorney to get the full compensation you are entitled to.